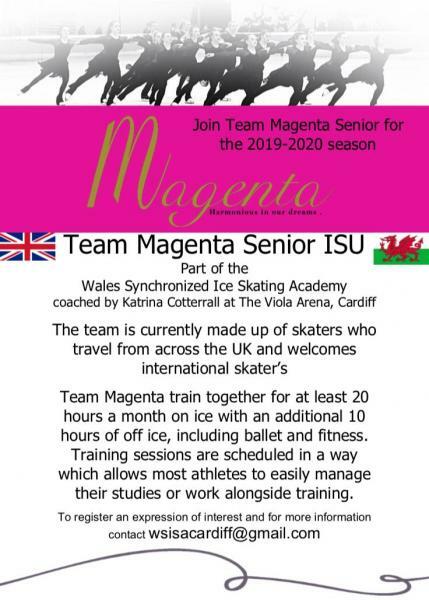 Team Magenta Snr are searching for skaters for the 2019/2020 Season. International Skaters are more than welcome and support will be given to those that make the move. We have a very athlete centred training program, both productive and holistic in its delivery. Our goal is to train as other skating disciplines do, in an environment thats motivating, supportive and exctiting.